A good ankle rehab program should focus on ankle rehab exercises to improve the strength of the muscles of the ankle. This is the most common focus for ankle rehabilitation, and rightly so. Without a good strengthening program, you cannot get back to your normal pain free life and sports. Whether you are going through rehab in a clinic with an athletic trainer or physical therapist, or you are doing your own rehab at home, your strengthening program needs to focus on several specific areas. The following are examples of ankle rehab exercises to help improve your strength. The calf muscles, including the gastroc and soleus are important during ankle function. They are the muscles that are responsible for you being able to point your toes, lift your heels up, walk, run, and jump. They also help control a lot of the movements that you perform during sports. 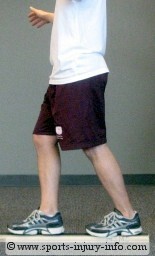 Strengthening of the calf can be accomplished with lots of different exercises. My favorite is the simple heel raise. Initially, you will want to do the heel raises on both feet at the same time, but as your ankle heals, you will be able to do single leg heel raises. Another way to strengthen the calf is with theraband exercises. Lunges, step ups, and balancing activities will also help to strengthen the calf muscles. The peroneal muscles are the stabilizers of the ankle. Located on the outside of the leg, they help the ankle maintain a neutral position when you are putting weight on your leg. Try balancing on one foot for a few seconds. Watch what your ankle does while you are balancing. Notice how your foot rolls in and out and adjusts to keep you balanced? The peroneal muscles help to keep your foot neutral while you balance, as well as when you are walking, running, jumping, and landing. Strengthening of the peroneals can be done with theraband exercises. This type of ankle rehab exercise will isolate these muscles, and can be helpful in the early stages of your rehabilitation. Once you are stronger, more advanced exercises like lunges, step ups, and other balancing activities will help improve the peroneals strength. The posterior tibialis is the medial stabilizing muscle of the calf. It helps to do the same thing as the peroneals, only on the opposite side. It works to keep the ankle and foot in a neutral position when you are bearing weight, and works with the pereals to do this. The posterior tibialis can also be strengthened with theraband exercises, and then more advanced exercises like lunges, step ups, and balancing. There are several other muscles in and around the ankle that can be strengthened during ankle rehabilitation. The anterior tibialis, extensor digitorum, flexor digitorum, and other intrinsic mucles can all benefit from strengthening exercises. It is important to remember though, that sports activities as well as daily life do not occur in isolation. 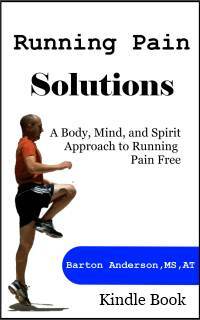 So, ankle rehab exercises to improve your strength should also not occur in isolation. In the early stages of rehab, some isolation is needed to retrain the muscles to be able to contract. This is very true if you have a lot of swelling. Theraband strengthening is a great way to work on isolated muscle activity. After the first 1-2 weeks following injury, your program should progress to more multi-muscle exercises, like the lunges, step ups, and balancing activities discussed on this site. Some people will call this functional rehabilitation...no matter what you call it, it works to regain your strength, and get you better faster. Ankle rehab exercises for improving strength should include the major muscle groups that produce the motions at the ankle as well as stabilize during activities. Your program should start out with simple exercises like theraband strengthening, and then progress to more advanced functional activities like lunges, step ups, and balancing.